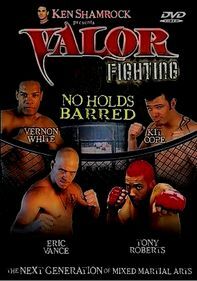 Take your ringside seat at the leading event of extreme mixed martial arts. Filmed at the Saitama Super Arena in Japan, this video presents plenty of bad blood in a card of matches that includes eight no-holds-barred bouts of bone-crushing combat. Battles include a simmering grudge match that soon boils over between Ken Shamrock and Don Frye, and the middleweight Pride championship between Wanderlei Silva and Kiyoshi Tamura.